Here are a few of my newest creations. I am at peace while creating. I especially love creating these pieces because I know they will someday be a beautiful addition to someone’s home-perhaps displaying their most treasured photography or art. I would be honored to know that these became family heirlooms-something that will add beauty to you and yours’ family for years to come! Thank you so much for viewing these! The larger frame has a unique wood burned pattern burned by myself. This frame will nicely display a matted 12×12 photo. It is two-toned with alternating color wood. 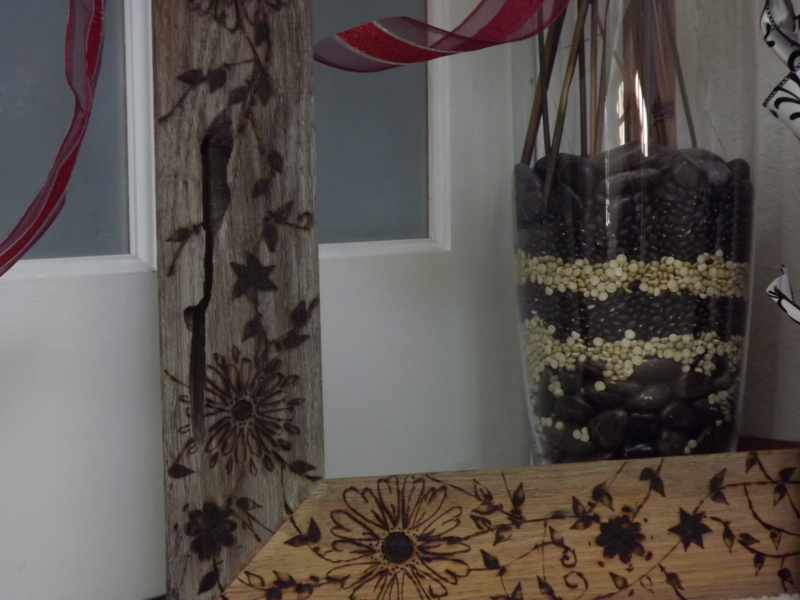 There are naturally occuring knots and holes in the wood that are incorporated into the design. The smaller frame is also made from rustic, upcycled wood, and will nicely fit a 5×7 un-matted photo, or a matted 4×6 photograph. 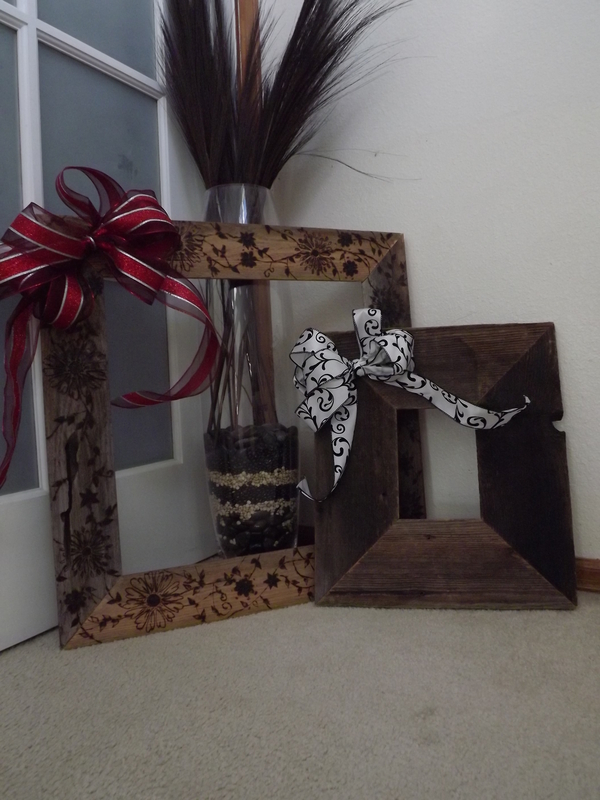 Both frames are unique, one-of-a-kind Christmas/Holiday gifts, or thoughtful housewarming gifts-or a nice piece for yourself! 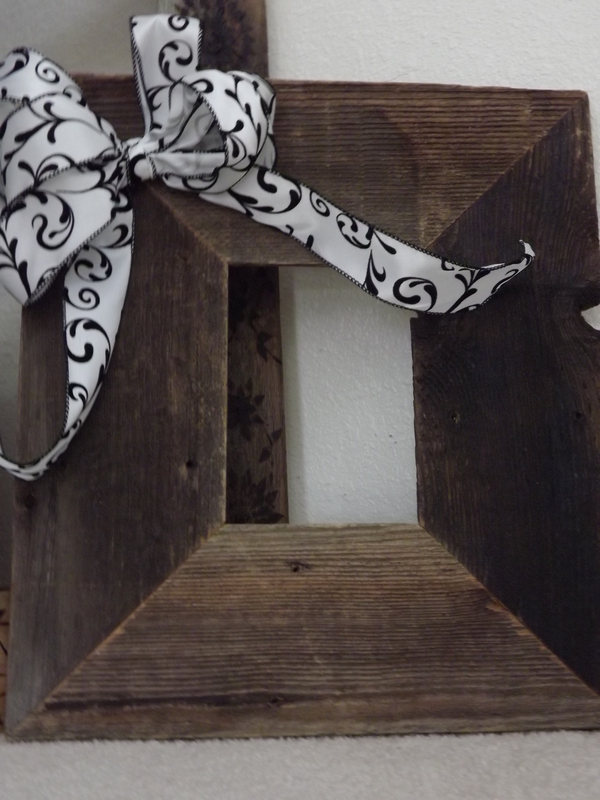 These frames will look great in any decor from modern and edgy, to shabby chic-vintage, to traditional! For more information please visit my shop on Etsy: www.etsy.com/shop/RusticStory to learn more and for pricing information! Thank you so much for visiting my site!